It’s not just Stonehenge where all the Gandalf-wannabes gather, you know. Apart from the Beltane Festival which already took place this year in April to mark the beginning of Summer, there are a few more places we can think of to whet your astrological appetite. 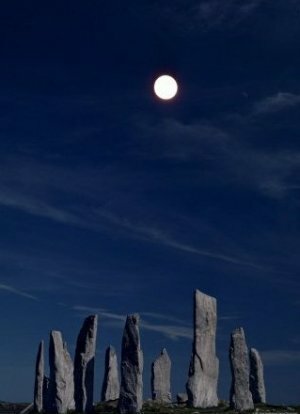 The Callanish stones on the Isle of Lewis are famous not for their alignment with the midsummer sun but with the midsummer moon. Some astrologists claim that the position of the moon on midsummer night behind one of the stones to be pure coincidence but what does it really matter when we all know that Stonehenge was rebuilt in the 1950′s. 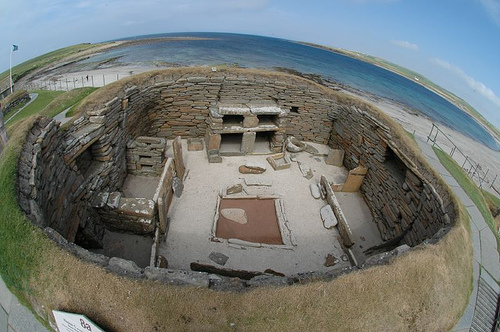 The Maeshowe cairn on Orkney is of particular interest for those celebrating the Winter solstice for the angle at which the sun descends through the tunnel towards the inner chamber and its alignment with the Barnhouse stone 800m away. What we find truly amazing is that the sun even makes it to Orkney in December. It is only in recent years that the stones at Ballochroy, Kintyre has sparked interest amongst astrologists. The stones are best seen tonight but it will involve leaving your car and climbing a hill to the site which you carbon-guzzling hippies may find hard to get your head around. But why bother with all those crusty old sites when you can be a new-age hippy. And by new-age we mean pay a visit Britain’s newest stone circle. 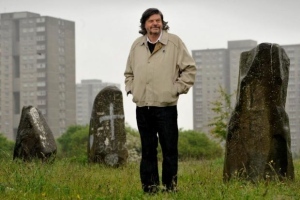 Sighthill in Glasgow was to be the site for the first stone circle built in the UK for 3000 years but plans were cut short in the 1970′s when half way through building, the plug was pulled on spending. Its creator, David Lunan, (we’re starting to wonder if he changed his name – Lunan, luna, moon – see where we’re coming from?) wants to see the project completed for party-goers to come and enjoy the midsummer celebrations. We’re sure Somerset would be all to happy to pass on your details to the bearded men dressed in bedsheets, Dave. Not so sure however what the residents of the nearby tower blocks would say though.